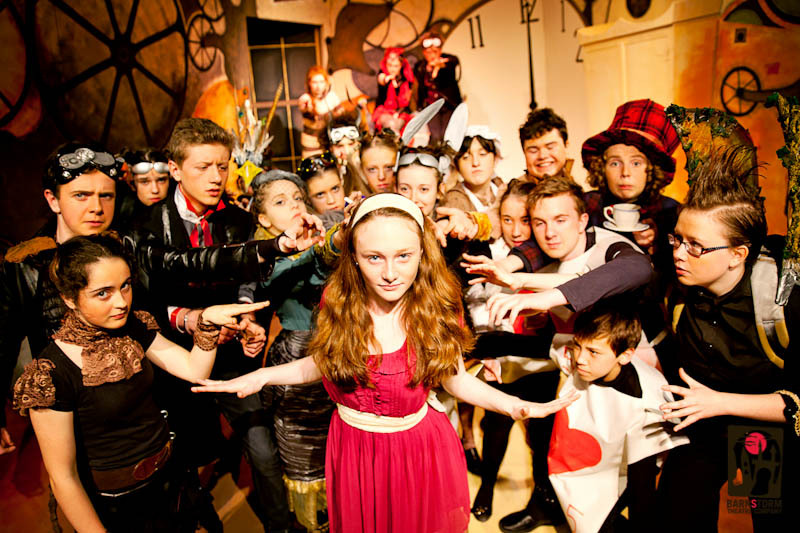 Barnstorm’s Kilkenny Youth Theatre presents Lewis Carroll’s Alice in Wonderland. 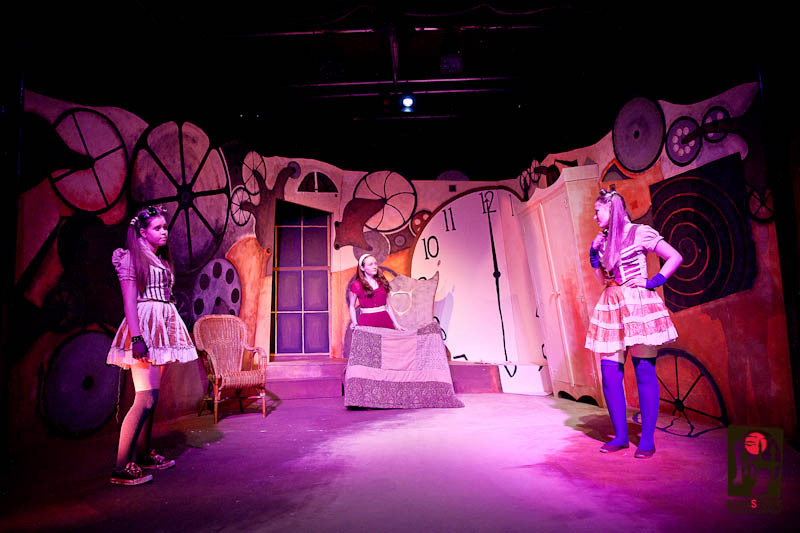 Over the years there has been the love and death of Romeo and Juliet, the twisted Gormenghast and a theatrical take on film noir, KoHL, Kilkenny Youth Theatre now look forward to taking one of the most loved childhood stories and adapting it for the stage. 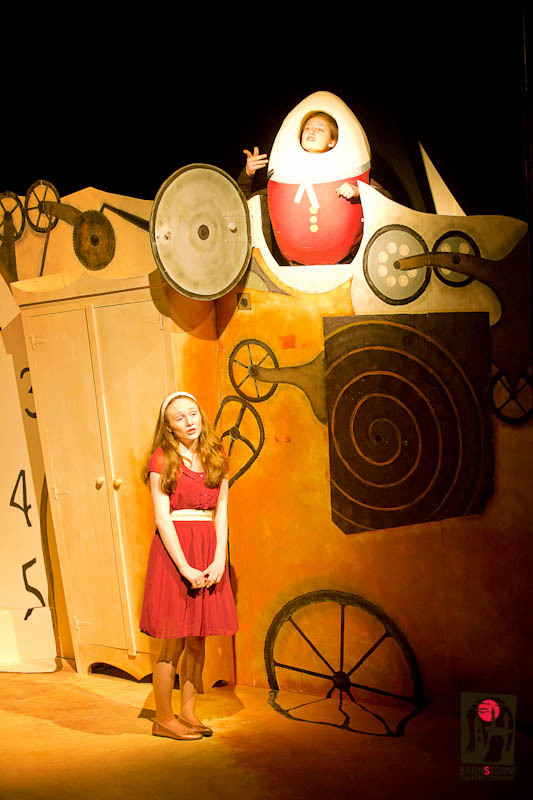 Adapted for stage by Anna Galligan, KYT’s Alice is 12 and ½ years of age and it bothers her to still be thought of as a child. Why do all these other people get to make the decisions, confuse her and boss her? After all, she is nearly thirteen. Alice In Wonderland has a cast of 21 young people from all around Kilkenny county. The production’s costume and set design takes its influence from the steampunk genre, a suggestion from KYT members, where the design and look incorporates technology with 19th century industrial steam-powered machinery, which lended itself perfectly to the madness of Wonderland. 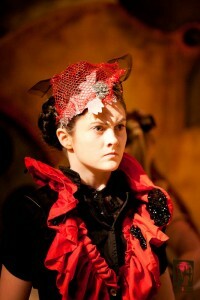 Orla McGovern plays the Gryphon. 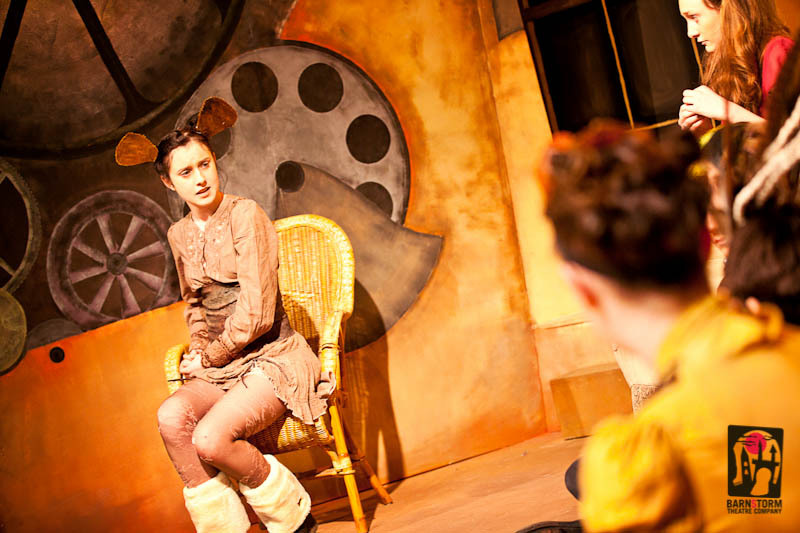 She says that bringing something so well-known to life is very challenging and it is great as an actor to find new ways to present such familiar characters. 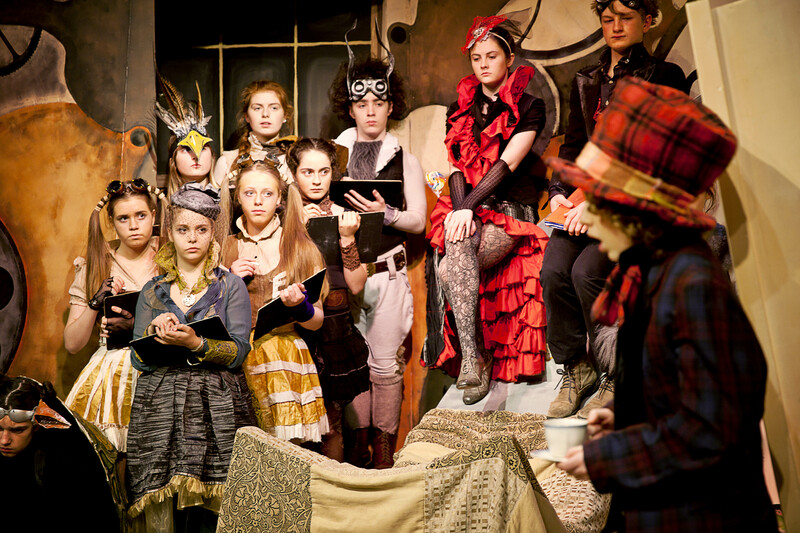 She said the youth theatre “lets you learn lots of new skills in a fun and interesting way” and that things are taught so that it feels like “the skills and knowledge simply sweep in”. 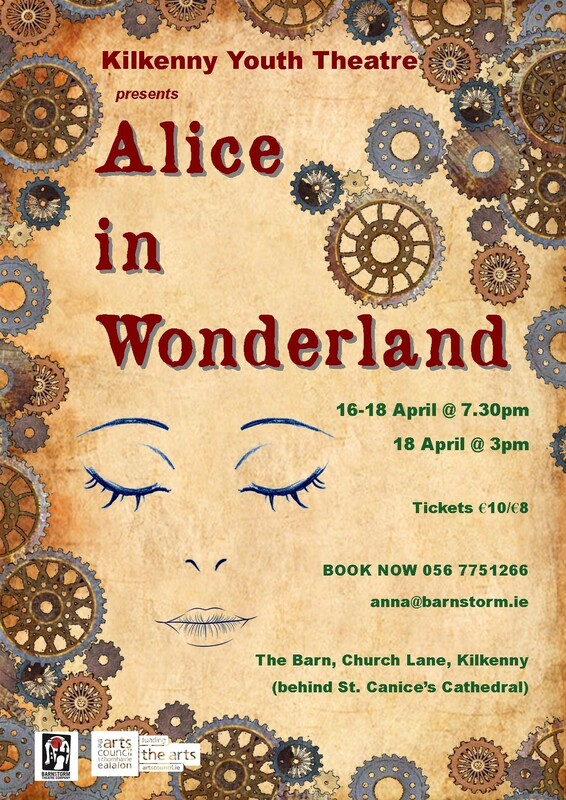 Update: Alice In Wonderland ran to full houses from Thursday 16th – Saturday 18th April at 7.30pm, with a matinée on 18th April at 3pm, at The Barn, Church Lane, Kilkenny (behind St. Canice’s Cathedral). 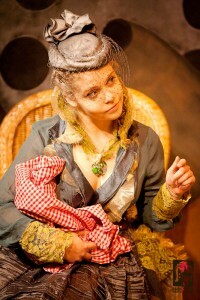 It saw some of our youngest audience members yet!